By buying this product you can collect up to र 12.00 with our loyalty program. Your cart will total र 12.00 that can be converted into a voucher. India Bullion and Jewellers Association Ltd. (IBJA) established in 1919, is considered the Apex association for all bullion and jewellery associations in India. IBJA helps its members and the community at large for the promotion & regulation of Bullion trade. 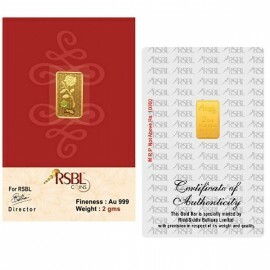 Coins and Bars are specially designed and minted by IBJA Gold, and carry the assurance of India Bullion & Jewellers Association (IBJA). The gold coins come in a mirror finish encased in a classic packaging, a symbol of the pride we take in their quality, Coins will be delivered to you in a tamper-proof package. Please inspect the package for any tampering before accepting the delivery. 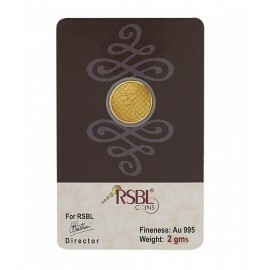 More than 800 ready-to-buy designs of coins in various themes including Devotional, Greetings, Alphabets, Numerical, Zodiac Signs, Royals, and Pride of India, Extensive collection of specially crafted 24 Karat - 995 and 999 purity gold coins & 999 purity silver coins.